Former White House communications director Anthony Scaramucci denounced President Donald Trump's inflammatory claim that the news media "purposely" cause "division" and "distrust." Scaramucci says he has expressed concerns directly to the president and other administration staff about the language. 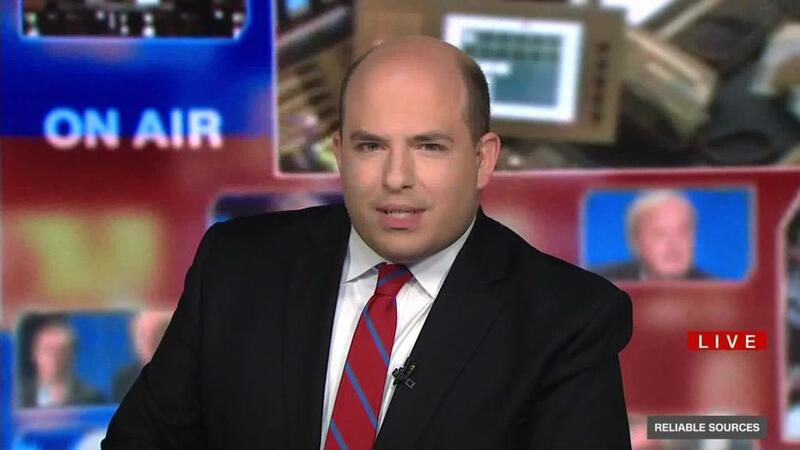 He told host Brian Stelter on CNN's "Reliable Sources" Sunday that more of Trump's people should tell the president they think his attacks on the press are wrong. "I would encourage people that are in the West Wing, if they think differently than the president, they should speak out," Scaramucci said. "I don't think that this war with the media is something that's going to help him long term." Scaramucci's comments came hours after Trump posted a tweet that labeled the media as "dangerous" and "sick." "The Fake News hates me saying that they are the Enemy of the People only because they know it's TRUE. I am providing a great service by explaining this to the American People," the president wrote. "They purposely cause great division & distrust. They can also cause War! They are very dangerous & sick!" The Fake News hates me saying that they are the Enemy of the People only because they know it's TRUE. I am providing a great service by explaining this to the American People. They purposely cause great division & distrust. They can also cause War! They are very dangerous & sick! Stelter asked Scaramucci directly if he believes journalists are the enemy. "I've said that consistently that they're not the enemy," Scaramucci replied. "You can have an adversarial relationship, you can disagree with people in the press ... But I don't like the war declaration because it will lead to something that none of us really want." Scaramucci said he still supports the president and believes he has done well on the economy and in negotiations with North Korea. He also said the president has a "right to be upset" about bias in the news media. "But tactically and strategically, the rhetoric that he's using I think is very, very bad for the country," Scaramucci said. Clinton-era White House press secretary and CNN commentator Joe Lockhart called Trump's comments a "deliberate" and "cynical" strategy to sow mistrust in reporting that is critical of the administration. "It is a war on our democracy," Lockhart said on "Reliable." He added that President Bill Clinton was often frustrated with coverage of his administration and felt he was mistreated by the media, but he chose not to talk about it publicly. "Even though at times he felt like a victim, but in public he didn't do it," Lockhart said. "Donald Trump can't go 20 minutes without pouring out a self-pity stream of tweets about how people are out to get him."